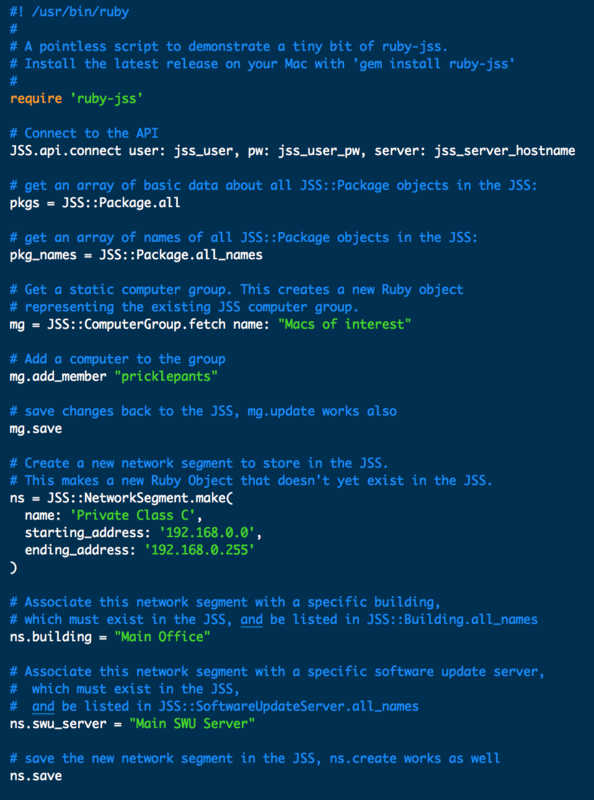 ruby-jss provides a Ruby framework for interacting with the REST API of the JAMF Software Server (JSS), the core of Jamf Pro. 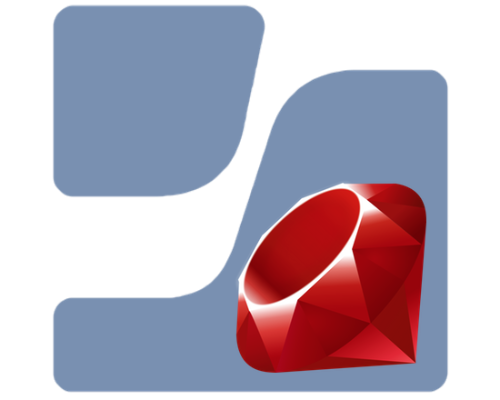 ruby-jss abstracts the most commonly used API object types as Ruby classes, providing a simple interface for creating, retrieving, modifiying, or deleting them. All REST interaction is handled behind the scenes, and you never have to parse or traverse XML. Within ruby-jss, the objects can interact in ways that make the API even more powerful, and your automation tasks even simpler. If you're new to ruby or the API, feel free to reach out in the MacAdmins Slack Channels #ruby or #jss-api or directly with the primary developer (if he's on line).